Combat Long Sleeve Shirt Woodland Digital | BUDK.com - Knives & Swords At The Lowest Prices! 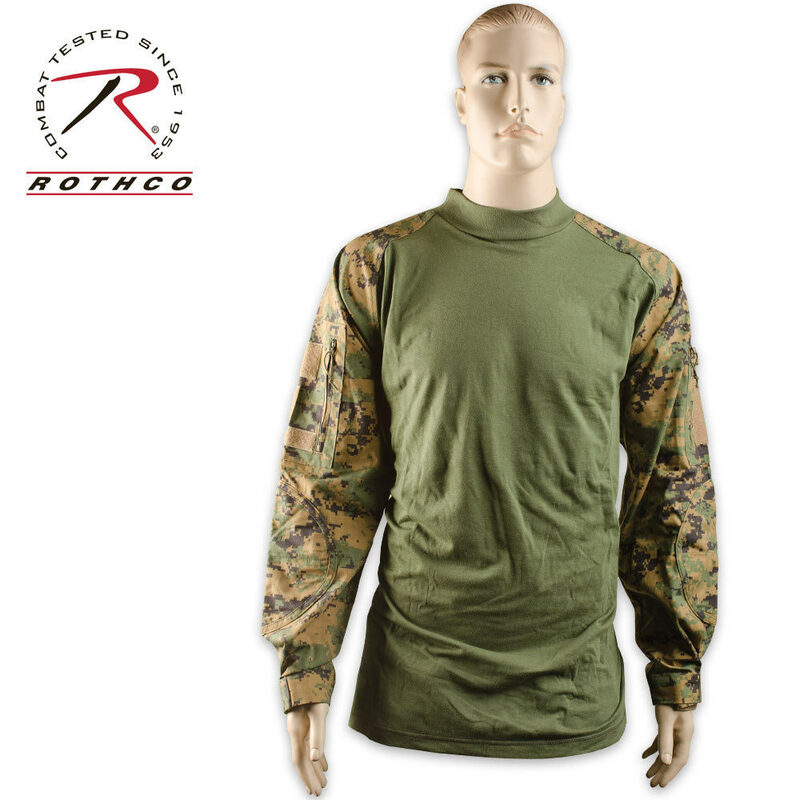 Dress for combat with this woodland digital Combat Long Sleeve Shirt. The chest and back are crafted of 40% acrylic and 60% cotton while the sleeves are crafted of 50% nylon and 50% cotton. This shirt resists melting and dripping, with a 230 degree (Fahrenheit) melting point, and features moisture wicking, lightweight and breathable design, zippered pockets for storage, a mock turtle neck, anti-abrasion padded elbow patches, gusseted sleeves, glint tape holder for IR tape, and a loop on sleeve pockets for attaching name, rank, and flag.